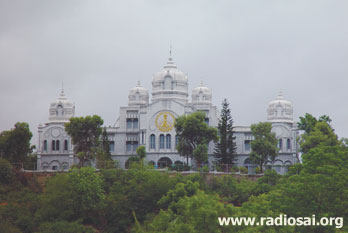 This year, the Sri Sathya Sai University has passed its twenty-fifth anniversary. [This article was written in November 2006]. The University is fairly well known in the country today, and understandably there are many visitors. Some come to just look around; some to attend Seminars and Conferences here, some to teach, some others as examiners; a few come for discussions, or for evaluation; many come to attend the annual Convocation; many more visit to witness the Sports Festival. Everyone unfailingly sees the fine buildings, the wonderful campuses, the admirable discipline, the spirit of self-confidence and self-reliance amongst the students, etc. All these are what readily meet the eye. I would rather like to describe and discuss in this article what visitors do not normally see. It is said in Vedanta that what seems real is unreal and what does not seem real is Real. In the same way, where Swami’s Institute is concerned, it is what people do not normally see that tells the real story of this truly remarkable University. To put matters in perspective, I would like to begin by referring to two points. The first concerns the philosophy underlying the educational system adopted here, while the second pertains to Swami’s unique relationship with His students. 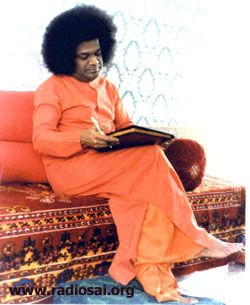 As far as the first is concerned, Swami is quite clear that education must not be reduced to just stuffing the brain; instead, it must address in a balanced manner the needs of the body, the mind, and the soul. 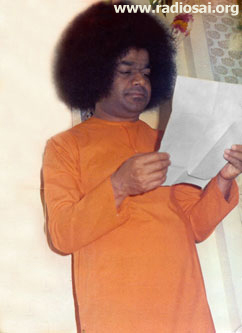 Swami often says that Education must be for life and not for merely eking out a living. If life is to be lived the way it really ought to be, then clearly a good and noble character must be the foundation; Integral Education is what facilitates the development and moulding of good character. This system of Integral Education was conceived and crafted by Bhagavan Baba and implemented by the first Vice Chancellor Prof. V K Gokak, from which time it has been operating most successfully. This statement is very important, especially the last two sentences, because they give us a clue to the remarkable and intimate relationship that Swami has with His students. Let us turn now to the history of the Institute. Now why did Swami occasionally visit the classroom? Was it to check on the Teacher? Not entirely; He would, at the end of the class, often place the lesson taught in a wider perspective, far beyond what even the Teacher was aware of. 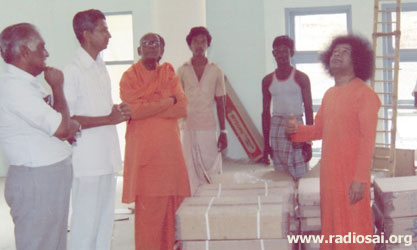 The next step in Swami’s Educational Mission was the founding of a College for men in Brindavan. This happened in 1969, and this is how late Mr. Kasturi recalls that event. 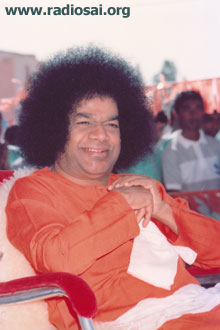 In those days, Swami spent most of His time in Brindavan, which meant that He became even more deeply involved in shaping the students of the Brindavan College than He had been with the Anantapur students. Here is how Kasturi describes it. "There is no activity of the College in which Baba does not evince interest, for He knows that it is the atmosphere in which education is imparted and imbibed that really counts. Since the College and the Hostel are situated within the compound, Baba walks in during the Prayer Session, presides over Moral Instruction Lectures, and Himself supplements the Instructor. He writes and directs plays for the College Dramatic Society. 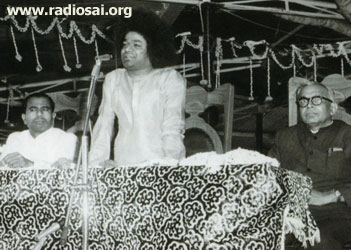 Kasturi was no doubt a keen witness to all that Swami was engaged in during those days, but it is from the students that we get a more detailed picture, and what an amazing picture that is! Those were the days before the present Trayee came into existence. At that time, there used to be a building known as the “Old Bungalow” which was Swami’s residence. Swami’s quarters were upstairs, and one of the rooms below, which in earlier days had apparently served as a garage, was the Hostel! This gave the boys of that era an unimaginable proximity that students of today would scarcely believe. Many a morning, Swami would come down and personally wake up the boys for the Suprabhatham. There were a few cows attached to the Ashram, and it was the boys who did the milking! Often Swami would ask about the yield, the health of the cows and so forth. The boys had to help the cook, and their duties included making chapathis! Swami would drop in, watch the boys rolling chapathis, rally them on the odd shapes they were producing, and at other times give tips on how to get the shape right! When old students recall those days, the dominant feeling one gets is that they were all living like one big family. Work was not always specifically assigned but the boys instinctively knew what had to be done and when. The spectrum of work the boys were involved in during those days is astounding – everything from security duty, to whitewashing, tree planting, and taking care of the birds and deer that used to live in a cage adjoining the Bungalow. In short, during those glorious Brindavan days, the boys were literally living with God, picking up innumerable lessons most unconsciously. I shall comment on the lessons themselves a little later but let me now offer an example of how close the bond between Swami and the students is, and how He responds to their wishes. The incident happened sometime after the permanent buildings for the Brindavan College had been built – this is the fine edifice that we all see today, beyond the sports field. Though the College had a new building, the students continued to live in the improvised Hostel, and Swami was not too happy about that. So He asked late Col. Joga Rao, a retired Civil Engineer who planned and built all the buildings in those days, to plan a good Hostel for the Brindavan boys. 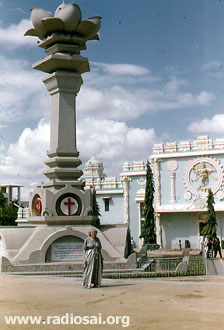 Joga Rao did as told, located a site adjacent to the new College building, got it cleared, drew up a plan for the Hostel, got Swami’s approval and even fixed a date for Swami to lay the foundation stone. On the previous day, Swami dropped in at the temporary Hostel and started talking about the new Hostel, the wonderful facilities it would have, etc. Something amazing happened then, and this is how Mr. Veda Narayanan, then a student and now a Teacher in Swami’s High School for Boys recalls that incident. “Swami, we do not want any new Hostel. The present accommodation can easily take in another two hundred boys. We can always adjust. If we go to the new Hostel, we would be far away from Swami’s Mandir. We just do not want to go away from Swami. If Swami is so particular about the new Hostel building planned next to the College, then Swami must have a new Mandir constructed right next to the proposed new Hostel. 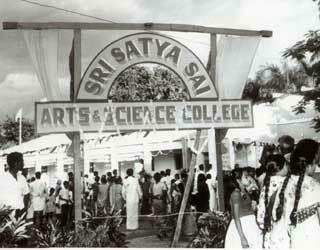 In 1979, Swami established the third College, this time in Prasanthi Nilayam. Unlike the other Colleges, this was to be substantially a Post-graduate institution. Once again, the classes commenced first in improvised locations, the building coming up later. 'In those days, Bhajans used to be held very late, around 11 a.m. So Swami would find time to come to the Hostel around 10 o’clock. I would be alone then since all the students, barring those who had fallen sick, would have gone away to attend classes. 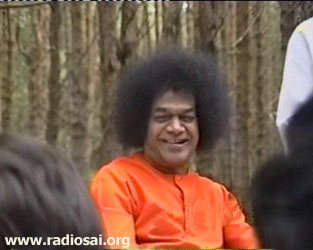 Swami would come to the Hostel in His car and I would open the door – it was all very casual. The first thing Swami would ask is, “What’s the news? Have all gone to the classes or are some boys sick?” Swami would then ask me to lead Him to the rooms where the sick boys were staying. There He would drag a chair, sit on it, and then talk to the boys. I can go on and on in this vein, recalling innumerable instances of how Swami grants Divine intimacy to His students and teachers, moulding and shaping them in amazing ways, but I shall not since that is beyond the scope of the present article. Instead, let me place all the above in the context of the second of the two points mentioned in the beginning. 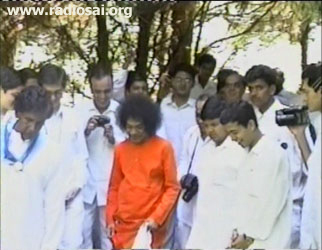 By being close and intimate with students and teachers, Swami grants them a chance to observe Him in action. And what is it He wants them to see? He wants them to see how Swami deals with the world. Where dealing with the world is concerned, Swami is very practical. Yes, He does want students to worship God, pray to Him, meditate on Him, and so on. However, Swami does not want them to become monks or recluses. Instead, He wants His students to look at the world and nature in a practical and yet divine way. Take the enforcement of discipline; it has to be a carrot and stick approach. Take games and sports; they are very much needed for a healthy body. However, be careful and avoid aggression; and make sure you do not get hurt. As for food, eat well, but in moderation. Go ahead and eat ice cream if you want to! 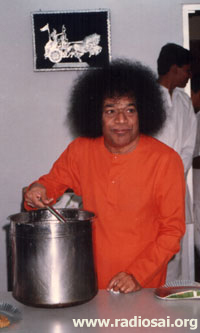 (In fact, Swami Himself distributes ice cream on many occasions.) But let everything be within limits. You want to go on a picnic? Go ahead and enjoy nature – nothing wrong in it. (In fact, when He goes to Kodai Kanal, Swami Himself takes the boys out for picnic, complete with games and snacks!) The long and short of it is: “Live in this world and don’t try to run away from it. Lead a full life; but live seeing God always and everywhere.” Swami tells us that this is precisely what Emperor Janaka did; and now, He is quietly teaching that same lesson all the time. There was this youngster who was in Ahmedabad, when the riots broke out. To his utter horror, this boy found that people whom he had known for years, his friends, his neighbours whom he used to address as uncle, people who were well-to-do, people who were well educated, all of them were leaving their homes to join the mob. The mob was in a frenzy and in a killing spree. The youngster asked himself the question: “What should I do? What is my duty? What is my Dharma in this particular situation?” After pondering for a while, the boy came to the conclusion that he would not join the mob; if he did, he would himself turn crazy. He said to himself, “The least I can do is not to join the mob; if I cannot help, at least let me not cause harm.” That is the first principle of service. His next thought was: “I cannot stop the riot; I cannot put out this raging fire. But there are people out there whom I know. Perhaps if I talk to them, I might convince at least some of them not to participate in arson.” He did talk to a few and succeeded in preventing them from joining the mob. To prevent people from doing evil is also service. Finally, he asked himself: “There are so many people affected by the riots. Can I help them in some way, say by talking to them and consoling them?” He did just that. That was positive action, and it did not cost a penny. 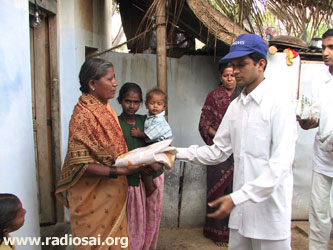 What better testimony is needed to highlight the impact Bhagavan Baba makes on His students! I have had the privilege to see many Universities all over the world, but I can honestly say that I have never seen anything like Swami’s Institute. The more I become familiar with it, the more I am amazed. Officially, Swami is supposed to be the Chancellor of the Institute. In practice, He is anything but the Statutory Chancellor. Students hail Him as Father, Mother, Teacher, Friend, Philosopher, Guide, etc. All these roles He undoubtedly plays. But beyond all that, as Dr. Gokak so aptly described Him once, Swami guides them all silently as the very Chancellor of the Universe. 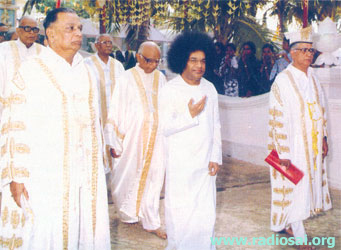 Yes, Swami has been quietly teaching that there is really nothing airy-fairy about the Atma. And one can deal with the Omnipresent Atma immanent in the diversity of Creation, without any mumbo jumbo, enjoying the good things in life, and by being helpful, kind and compassionate as much as possible. 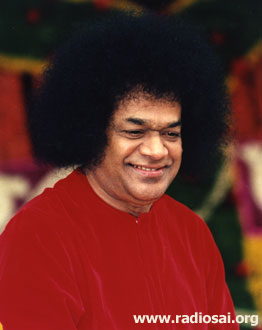 What is unique about the Institute is that though it has many Campuses, Departments and Teachers, in essence, there is only One Teacher, and that is Swami. 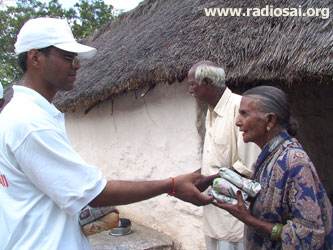 Truly speaking the Institute is a modern Gurukulam, with Swami playing the role of the Guru. The students live with the Guru, learning constantly from Him. Only, this Guru is no ordinary Guru, but the Guru of Gurus, that is, God. That is what makes this Institute, at least for me, the greatest wonder of the world. Jai Sai Ram! Dear Reader, did you find this article helpful? Would you like more articles on the Institute? Please tell us at [email protected] mentioning your name and country. Thank you for your time.